The Jets/Jetts organization began its scholarship program in 1999 to support its exceptional scholar athletes. The Scholarships were named for the founders of the Jets/Jetts, Sam Kobayashi and Tak Uyesugi for the Boys Division and Mimi Arakaki and Irene Murakami for the Girls Division. The scholarships are given to one male and one female high school graduate via a competitive process, which includes high school GPA, organization and community service, a written essay and an oral interview with the scholarship committee. The selection process is intense but provides insight to the truly talented and exceptional scholar athlete. The scholarship covers the four years the awardees are expected to complete their undergraduate education. Additionally, the Jets/Jetts confer four one-time scholarships to outstanding runner-ups. It is with great pleasure that the Jets/Jetts organization announce that Aaron Lew has been awarded the 2016 Kobayashi-Uyesugi Scholarship Award. Aaron is a graduate of Arcadia High School where he played on the basketball team for 2 years and involved with the LINK crew. From his days with the Jets Wild Force to his days with the Sabers Sonics, Aaron has been an active member of the Jets/Jetts since kindergarten. Over the last few years, Aaron has become heavily involved in community service. He has been an assistant coach for both Jets Raptors and Jets Supersonics and has also helped at the Jets/Jetts Lil Wing clinics. Every June, he can be seen pitching in at the annual Montebello Plymouth Church Bazaar. Also, Aaron has found the time to volunteer his services at Special Olympics of Southern California events and at the Monterey Park Hospital. Although I stopped playing for the Jets Wild Force in 8th grade, the Jets/Jetts organization has always been and always will be a large part of my life. I have grown up being a part of this amazing organization and cannot see myself any other way, for this I want to thank the Jets/Jetts organization. Being a part of the Jets Wild Force, I not only grew as a basketball player, but as a person. My coaches taught me to always work hard and be disciplined, and I want to instill these qualities and more into the Jets Raptors who I help coach. I want to thank Coach Danny, Coach Alton, and Coach David for coaching me and teaching me the fundamentals of the game. Additionally, I want to thank Coach Mark for allowing me to help coach the Jets Raptors, he has mentored me to become a coach and a leader. I don’t think I could have become the person I am now without the Raptors. Community service has always been a large part of my life, and just being able to give back to the Jets is amazing in itself. It has been an honor to be a part of the Jets Wild Force, Jets Raptors, and the Jets/Jetts organization as a whole. I cannot thank the Jets/Jetts organization enough for this scholarship, and I just want to give back to the organization that has given me so much. Aaron plans to attend California State University, Northridge in the fall where he will major in health care administration. 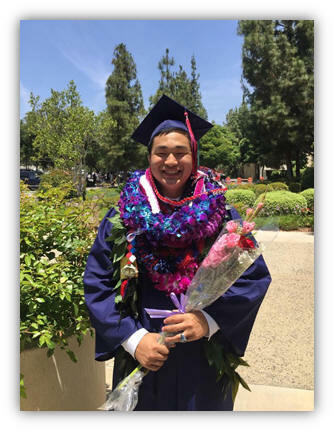 We congratulate Aaron on his accomplishments and wish him the best in his future endeavors. It is with great pleasure that the JetsJetts announce that Tyler Shimohara has been awarded their 2017 Board of Directors Scholarship. I would like to thank the Jetts/Jets Organization for this generous scholarship award. I had the privilege to be a part of the Hyperforce team for nine years and it has impacted my life in a variety of ways. It was a great basketball experience that helped me grow up as a player, and as a young man. I still remember all the countless hours practicing at Belvedere and Monterey Highlands where we always had competitive games of knock out and one on one. We carried this on into our games where we made many memories including multiple championships. I would like to thank Coach Alton, Coach Kenton, and Coach Lyle for teaching me the fundamentals of basketball and sportsmanship on and off the court. I have made so many life-long friends from the Jetts/Jets Organization that I will carry on throughout my entire life. It has also influenced me to give back by participating in community service. I enjoyed coaching at the Lil Wings and my little brother’s team. I would like to say one last thanks to my parents for always believing in me and pushing me to strive for the best. Thank you so much for this life changing experience. 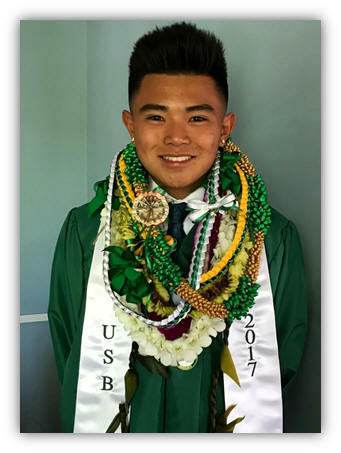 Tyler plans to attend the University of Hawaii in the fall, where he will enroll in its Shidler School of Business. We congratulate Tyler on his accomplishments and wish him the best as he pursues his future goals. 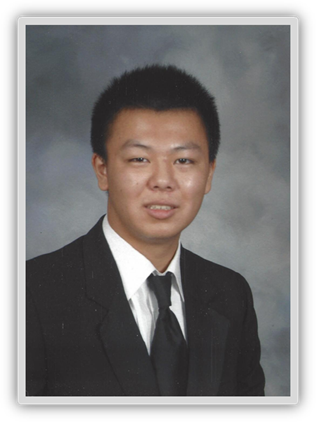 The JetsJetts proudly announce that Joshua Kim has been awarded their 2017 Board of Directors Scholarship. I am truly honored to be the recipient of the 2017 Jets/Jetts Director Scholarship Award. My first basketball experience started at the age of 5 with Jets HyperForce. Little did I know back then that basketball and Jets/Jetts would be such a big part of my life. Not only did I learn the fundamentals of basketball, I gained so many cherished memories and made lifelong friendships. I want to thank my HyperForce coaches for the countless hours they dedicated to our team. Under their guidance, HyperForce was crowned CYC League Champion every year from 2nd-8th grades. However, they taught us lessons off the court as well. I grew to understand the meaning of leadership, discipline, sportsmanship, teamwork and that some things were bigger than basketball. It is from those early years of basketball that helped shape me into the person I am today. Because of the strong fundamental skillset I learned as a Jets/Jetts, I have been fortunate enough to have played at a very competitive level in high school. As I prepare for the next chapter in my life, I will be continuing my basketball career at the collegiate level. I can only look back at my journey and say…Thank You Jets/Jetts! I feel truly blessed to have been part of the Jets/Jetts HyperForce and will be eternally grateful. I’d also like to thank the Jets/Jetts organization and all the Board Members. I know that without your extraordinary hearts of service, Jets/Jetts would not exist. Josh plans to attend Calvin College in the fall where he has been awarded a Dean’s Scholarship and a Mosaic Diversity Scholarship. We congratulate Josh and wish him well in his future endeavors.